We need images of Reflections for the next meeting’s Photo Quest! The next meeting of the Lewisburg Photography Club is Thursday June 28, 2018 7-9 p.m. at the usual place – The Village Common. During the first hour of the June 28 Meeting, we will have a panel of four “Experts” discuss the different lenses and filters they use. They will explain why they use a particular lens or filter and when. The four “Experts” are Photo Club members Penny Patterson, Charlie Guttendorf, Kyle Fawcett, and Dan Hyde. During the second hour after the break, Dan will show images submitted to the June Photo Quest. 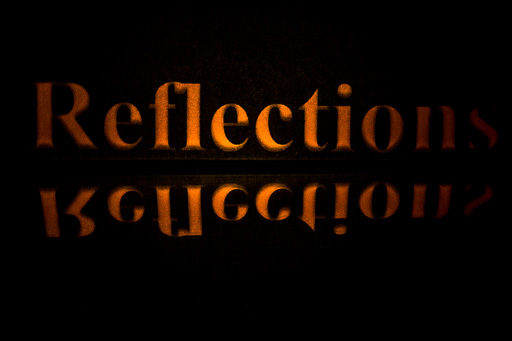 The theme is “Reflections.” Recall a Photo Quest’s purpose is to challenge you so you can grow as a photographer. Don’t just select two images from your past images, plan and take several new shots that you think would make a strong image with Reflections. Those who wish to participate should submit two JPEGs that typify “Reflections” to Dan <hyde@bucknell.edu> by 5 p.m. Tuesday June 26. Due to scheduling issues, the July meeting of the Photo Club is a week early on Thursday July 19. We will have a Critique Forum. The next Photo Quest will be in August.